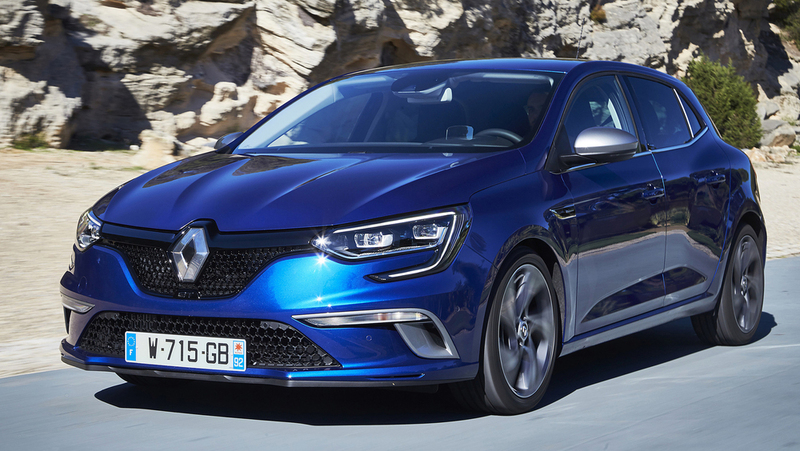 Renault has announced further details of the all-new Megane line-up following its global debut at the 2015 Frankfurt Motor Show. 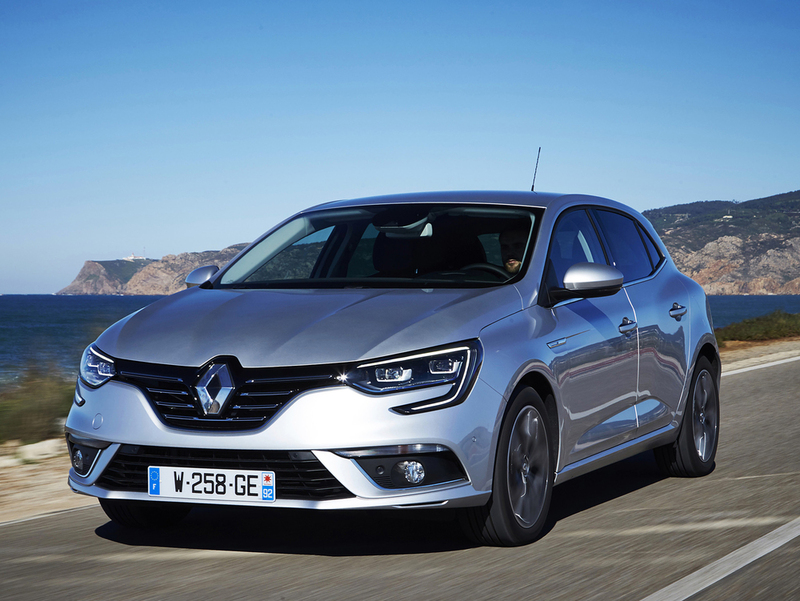 The new Megane is the fifth Renault to be built on the Renault-Nissan Alliance's new Common Module Family (CMF) vehicle architecture, after the Espace, Kadjar, Talisman saloon and Talisman estate. A sporty and dynamic Megane GT-Line will feature visible exterior and interior enhancements. At the front there is a wider lower air intake with a honeycomb-pattern mesh, flanked by lateral scoops. An elliptical chrome exhaust tailpipe and a profiled diffuser hint at the car's sporty character and there are dark metal 17- or 18-inch alloy wheels and door mirror housings to match the finish on the front air scoops and rear diffuser. GT-Line badges adorn the front wings and rear. The front seats feature additional lateral support and integrated headrests, blue top stitching and a chequered logo. The three upholstery options, in fabric or Alcantara, have blue or black stripes, and there are other hints of blue in the trim strips, all reflecting the Iron Blue body colour. The GT-Line also receives a bespoke steering wheel offering a firmer grip, and model badging on the dashboard. Depending on the country, the new Megane will be available with 10 fuel-efficient, low-emission powertrains in line with Renault's downsizing strategy. All but one of them is turbocharged and two are exclusively reserved for the GT. There are four Energy TCe turbocharged petrol options with capacities and power outputs of 1.2 litres/100hp, 1.2 litres/130hp (manual and EDC) and 1.6 litres/205hp (GT). The turbodiesel alternatives are 1.5-litre dCi 90 and 110hp units, the latter with manual or EDC transmission, and 1.6-litre dCi units developing 130 or 165hp. The CO2 of the manual dCi 110 is 86g/km, while at the other end of the scale the TCe 205 GT will be capable of 0-62mph in 7.1 seconds and a top speed of over 145mph. In 2017 a Hybrid Assist diesel-electric powertrain will be added to the range, based on the Energy dCi 110 unit. Renault is targeting a CO2 figure of 76g/km, with fuel economy in the NEDC combined cycle of more than 97mpg. The Hybrid Assist is provided by a 48-volt battery which is topped up by energy recovery under deceleration and braking. The diesel engine remains in operation at all times. UK pricing, RHD specification details and engine line-up for the new Megane range will be announced nearer to the start of UK sales in summer 2016.